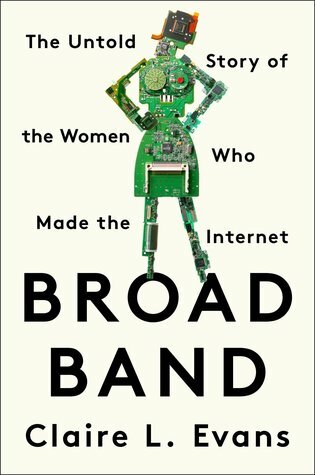 Broad Band: The Untold Story of the Women Who Made the Internet is a fascinating telling about the history of the women who were truly responsible for making computers and the Internet what they are today. Whether you’re interested in computers, engineering, the Internet and tech-savvy topics, or just a computer user; whether you’re a feminist (I hope so!) or not; this book is for you. It’s sad that I didn’t know much of this history prior to reading the book, but boy, am I glad I happened upon it on a shelf at the library and snagged it. Although I’ve yet to actually go see it, I’m thrilled by the hype floating around on social media regarding the new Wonder Woman movie. There’s just something about seeing a film surrounding a strong, powerful woman succeed that sends chills up and down my spine. It’s fantastic – and I wanted to feed off that energy by reminding everyone of some of the incredible women who have brought about change in society! Hopefully you’ve already heard of these 15 powerful women and are familiar with their accomplishments, but in all honesty, you might not be. Their stories deserve recognition and acknowledgment, far more than I can give them – but I hope this is a start.